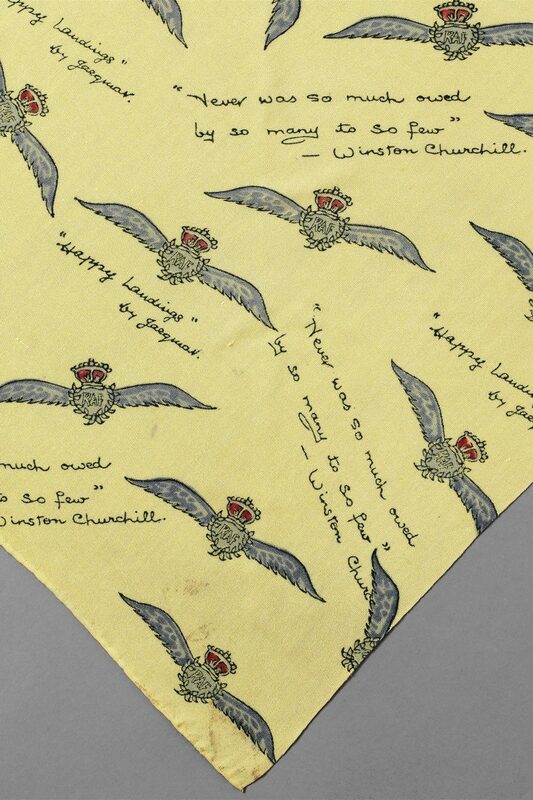 This scarf is printed with the design ‘Happy Landings’ by Jacquar of London, and depicts the RAF crest with Winston Churchill’s tribute to the RAF after the Battle of Britain in 1940: ‘Never was so much owed by so many to so few’. It was available in several colourways and fabric types. 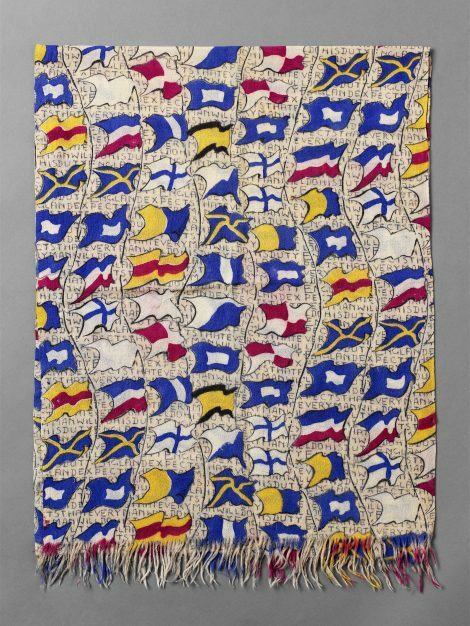 Jacquar of London, a textile manufacturer and fashion house, specialised in the production of patriotic prints during the war for both the home and export markets. 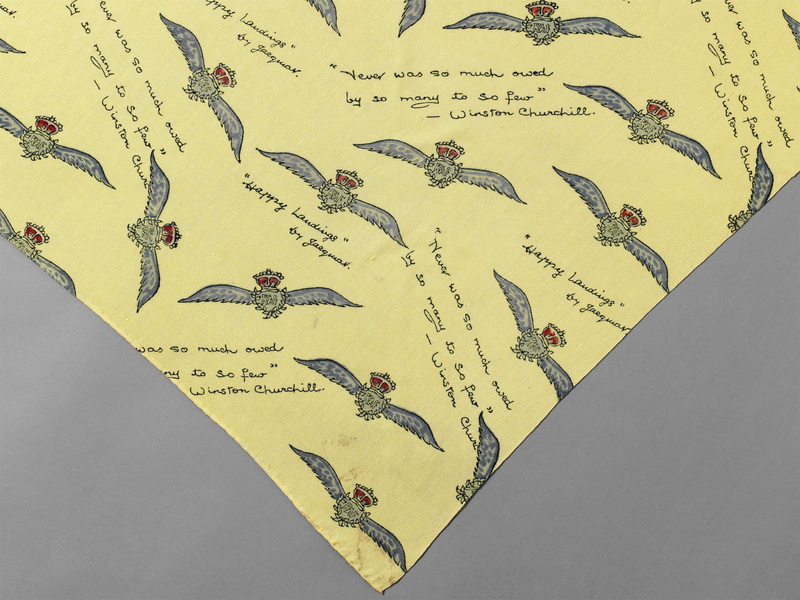 Scarves were particularly popular, combining practicality, stylishness and support for the war effort.